This may surprise you to know, but you can’t use just any material available for flooring in a wine cellar. The humidity is at a higher level than a typical room in a commercial building or residence. 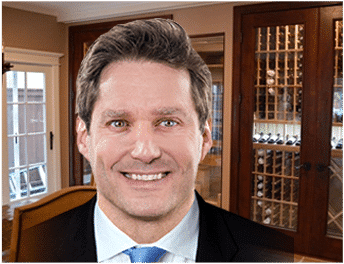 As a consequence, it’s vital that you work closely with a wine cellar specialist to help you pick the right material, and make sure that it’s installed properly for a wine cellar. An effective wine cellar is one that can keep the temperature and humidity inside at the ideal levels with minimal to no fluctuation. To achieve this setup, the storage room should be tightly sealed and properly insulated. There are many variables that contribute to creating this climate-controlled space, and one of those is the use of the right kind of wine cellar flooring materials. The type of material used for a custom wine cellar’s flooring can help accentuate the overall design and ambiance of the storage room. The most popular choices of materials in Los Angeles, California include old wine barrels and natural cork planks. Good wine storage flooring is a vital aspect to make sure that the coolness and moisture inside the cellar will be maintained at the correct levels. Choose the material for your cellar’s floor so that your wine collection can be protected from spoilage. What is the best material to use for your custom cellar’s flooring? Consult a wine storage expert today! Click here! The use of carpets for your wine cellar flooring is strongly discouraged! This kind of material promotes the growth of mold and mildew when placed in damp conditions. A good material for your cellar’s floor should be able to withstand a humid environment. Never use carpet! There is a myriad of options for materials that can be used to create wine cellar floors, including slate, tile, marble, and vinyl. But the most popular choices are reclaimed wine barrels and cork. Both are highly recommended by wine storage experts, not only for their aesthetic appeal but also for the many advantages that come with their use. Reclaimed oak wine barrel flooring is one of the most popular choices in Los Angeles, California. Not only is the material beautiful, it is also eco-friendly. There are three parts of a wine barrel that you can choose from, and they are the cooperage, the stave, and the infusion. Oak wine barrels have long been used for wine making. These containers impart rich flavors and desirable texture to wine. Typically, after five to seven years of storing wine, these barrels are discarded. Instead of throwing them away, many winemakers make the most out of these materials by using them for various purposes. 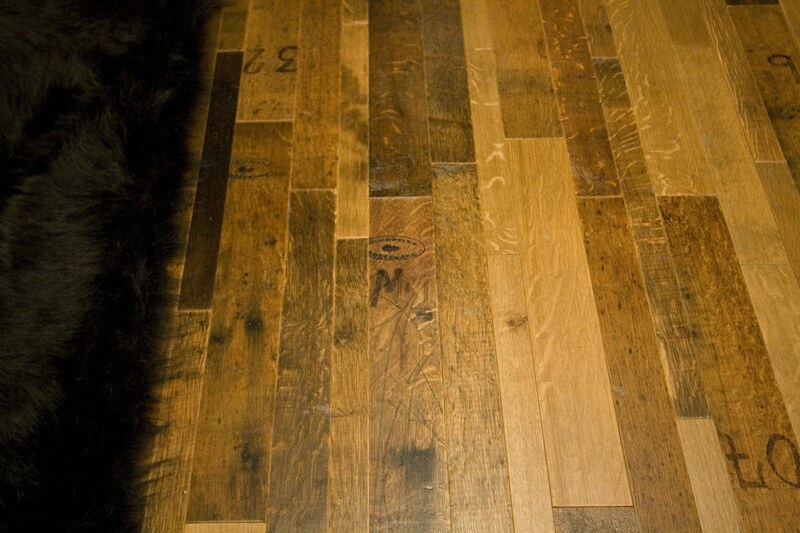 One of the most popular uses of reclaimed wine barrels is for creating beautiful wine cellar flooring. The wooden storage bins are broken into long strips and engineered to form elegant cellar floors. The top and bottom parts of a wine barrel are called cooperage. Wineries incorporate stamps and marking on these areas to help them identify the content of the barrels. Using this part of the wooden container for your cellar flooring will give your wine room a unique design. The different markings create an artistic appeal in your storage space. The stave refers to the vertical wood that makes up the sides of the barrel. This part has distinctive markings left by the metal bands that used to be on them. 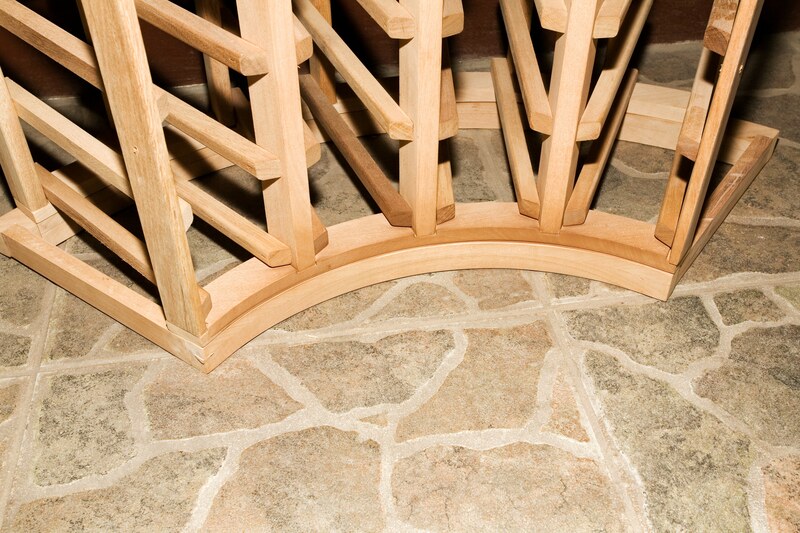 The indentations created by the hoops add exceptional elegance to a cellar’s floor. A properly installed wine cellar flooring is necessary to create an effective climate-controlled environment, which is vital for aging wine. Planning to have a wine storage structure constructed in California? Learn other vital aspects of building a functional custom wine cellar. Click here! The infusion is the wood that is on the inside of the barrel. This part is naturally stained by the wine stored in the container. No artificial dyes are used to enhance the color of the wood. 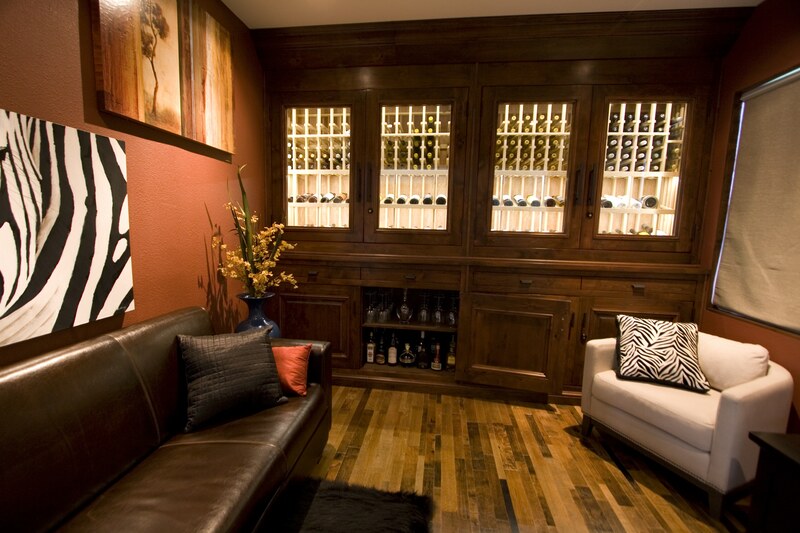 The infusion creates a beautifully warm ambiance in your wine cellar because of the variations of red on the flooring. Cork is an environmentally friendly material for wine cellar floors. It is a renewable product that is harvested from the Quercus Suber, which is also known as the cork oak tree. Unlike other trees, the most valuable part of the cork oak tree is its bark. The bark of the Quercus Suber tree is significantly thicker than those of other trees. The cork oak tree’s bark is made up of tiny prism-shaped air pockets, which is responsible for the material’s cushion-like surface. Cork’s natural micro rubber particles make the product last for centuries. Cork floors are known to be shock absorbent, insect repellent, mold resistant, and fireproof. This product is also a popular choice among cellar owners because of the beautiful patterns and colors it creates in a wine storage room. No matter what type of material you use for your custom cellar flooring, if the product is not installed properly, your wine room will still fall short of effectiveness. A poorly installed floor will cause a radical imbalance in the temperature and humidity levels in your storage space. You need a professional wine cellar specialist to make sure that your flooring is properly set up. Looking for a custom wine cellar expert in California? Contact Custom Wine Cellars Los Angeles today at (323) 825-9846! 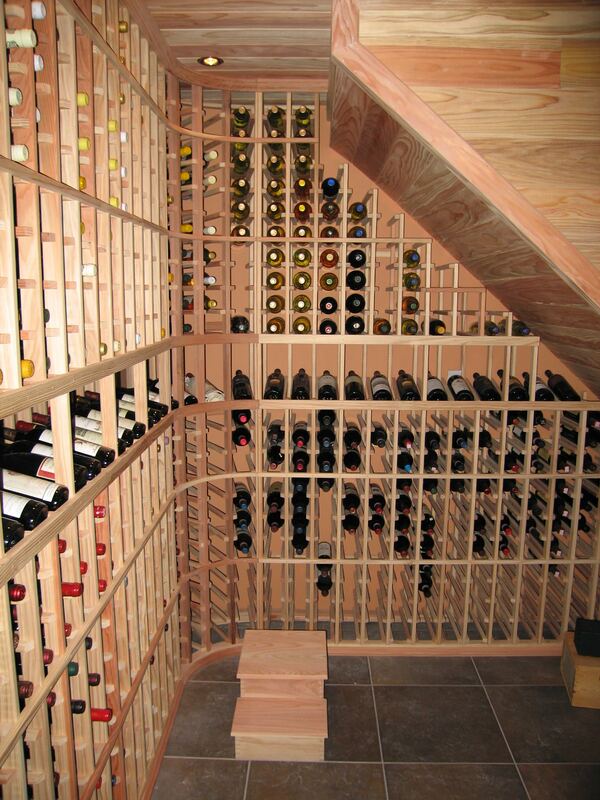 Hire a wine storage expert in Los Angeles, California to install your cellar flooring. A professional will ensure that the materials are properly setup. A poorly installed floor can easily damage the temperature and humidity balance in your wine room, which can ultimately lead to the spoilage of your wine collection.